Instant Bitex is a cryptocurrency platform that allows its users to trade cryptos and to invest money. Let’s put aside the fact that that the Instant Bitex platform seems to be totally illiquid and fairly dead in terms of trading activity. Instead, let’s focus on the investment program. The big red flag is that they don’t even bother explaining how they are supposed to generate such high and steady daily returns. We believe that it is impossible to guarantee 1.50% daily for a year, markets are just too unpredictable for that. But the main thing is that Instant Bitex is not authorized to provide investment services, it is not registered with the Financial Conduct Authority, as you can see on our picture. This simply means that it is an illegal investment program that offers no protections to investors. It is a big reason to stay away. 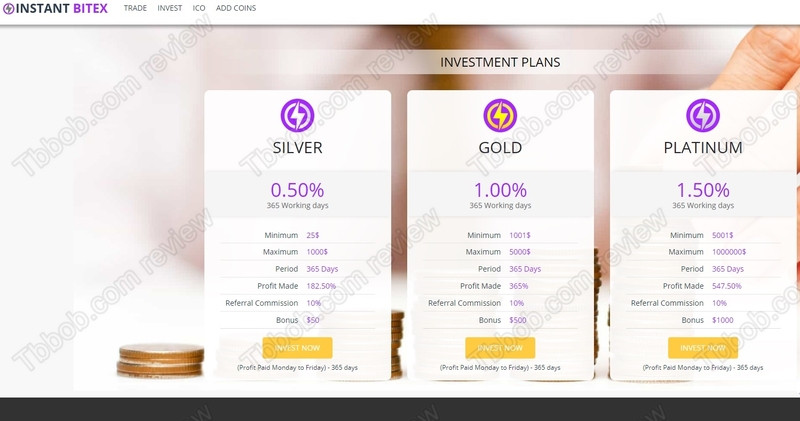 The offer of Instant Bitex is typical for Ponzi schemes that just play with people’s deposits and do no real trading or investing. Instant Bitex is an illegal investment program that you should stay away from! If you want to try crypto trading in a safe way, start on a free demo with a regulated broker where you will be able to trade with virtual money. You will be able to see how trading works and what profits are possible when you manage to build a sound trading strategy.